Happy Tuesday, everyone! I’m finally home and unpacked from my first year at college, and it’s so nice to be home 🙂 It feels great to have so much more space to myself. I’ve been doing lots of drugstore bargain hunting for new makeup products, and here’s a couple of my latest favorites! I found these lovely little eyeshadows at a clearance sale at my local Walgreens for just fifty cents each, along with this cute little brush for just $1! 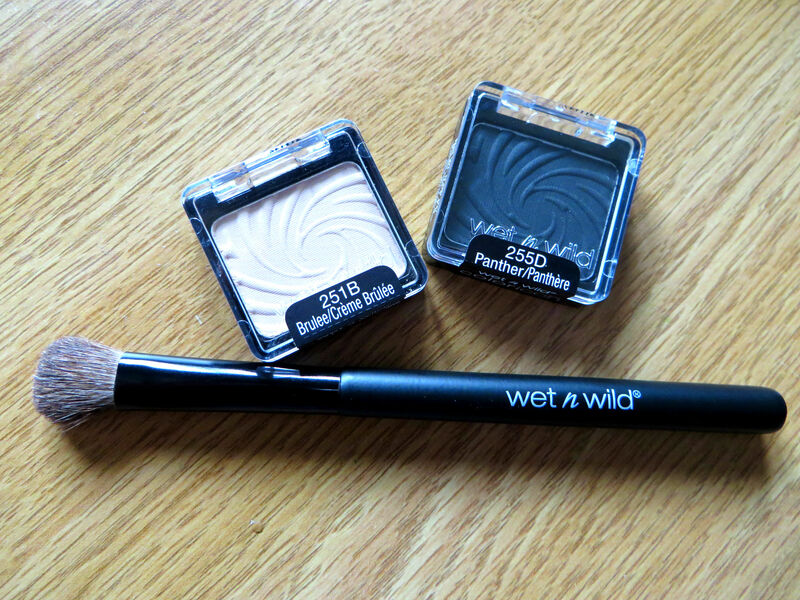 You’re probably sick of hearing me gush about Wet N Wild by now, but it really is such a great brand, with surprisingly high quality products for incredibly low prices! I picked up the shades Panther and Creme Brulee. These cute little powders are perfect! They’re well pigmented and matte, and the Creme Brulee shade works great for an everyday color, while Panther is a great shade to combine with other colors to create a evening out look. 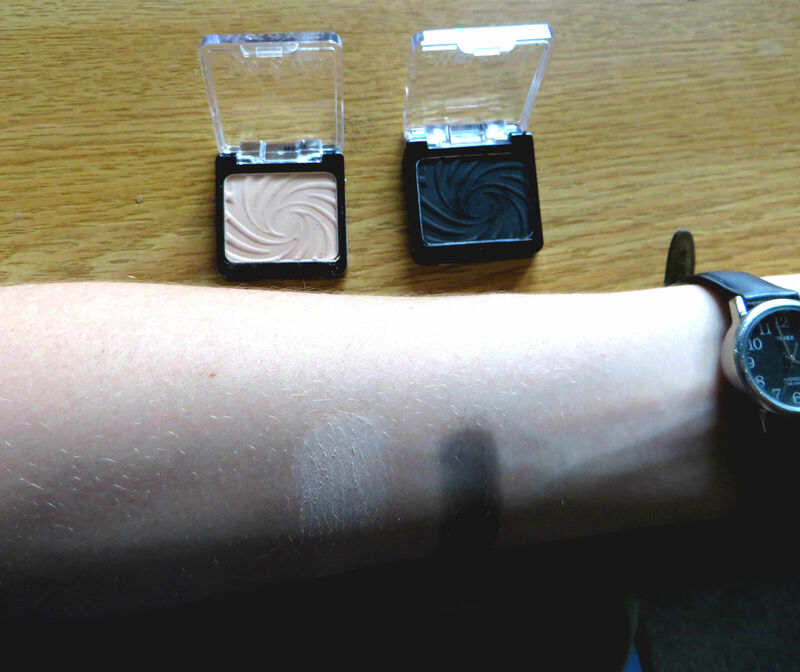 It’s a lovely smokey shade that’s easy to blend. The brush is perfect for eyeshadows and highlighting, and I haven’t had any trouble with the bristles falling out yet (fingers crossed!). It spreads the colors very evenly as well. What do you think? 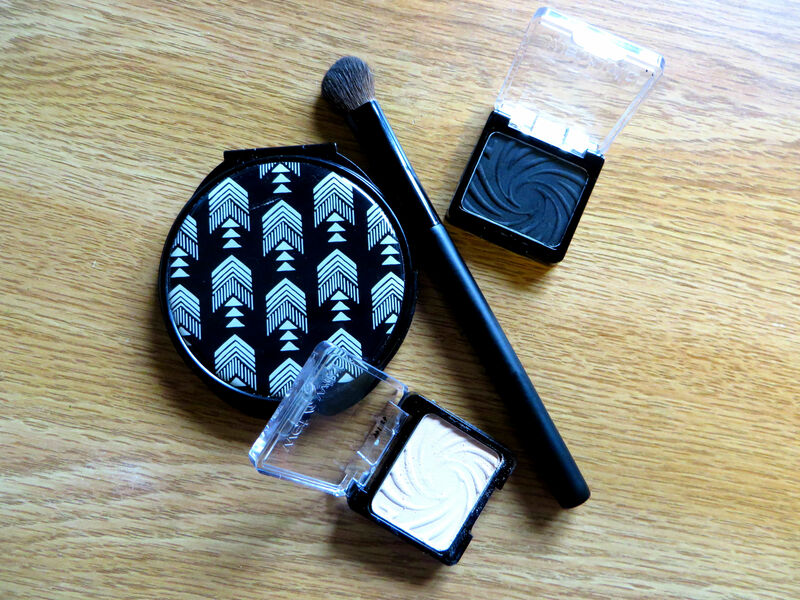 Have you found any drugstore steals lately? 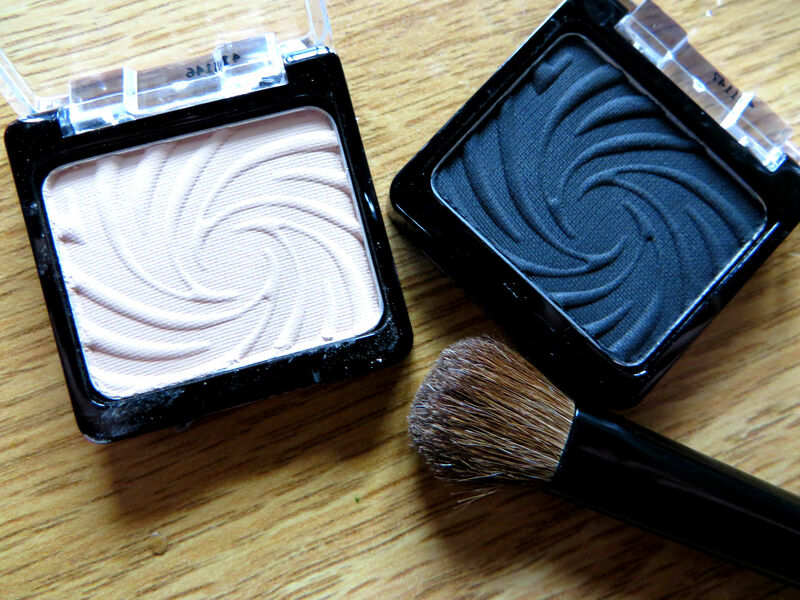 Do you prefer high-end shadows, or do you like to find bargain prices? How would you wear these shades? Let me know in the comments! Thanks for stopping by! If you liked this post, check out May Drugstore Makeup Haul or 3 Lipsticks for $3! What a great deal for these! Thanks Amanda! They were such a great bargain! Thanks Emma! Have a lovely day! what cute cases! wet n wild has really stepped it up! fun finds! The packaging is adorable, isn’t it? Thanks Kelsey! Nice review hun, I need to try this brand. That’s too bad that they’re expensive where you are June! Are there any inexpensive brands you like to use? I didn’t either, but I’m very pleased with this one! Have a great day Candice! Thanks Tash! It’s so much fun when that happens! This eye shadow is a great deal! I will have to try this brand. I definitely recommend it! Thanks for stopping by! That’s true, I don’t mind paying extra if I’ve got my eye on something! Thanks for stopping by, Amanda! Wet n Wild has pretty good stuff and I love their eyeshadow palettes! I tend to go drugstore for makeup and high end for skincare. Drugstore makeup brands have definitely upped their game in the recent years and they are as good as high ends. They really have! Drugstore makeup brands have gotten so much better, I love looking for products there! Have a lovely day Shireen! Thanks! I love them too. I’ll be sure to check that out! This eyeshadow looks amazing! My favourite brand is Dior! Thank you! I’ve never tried anything Dior, but I bet their products are amazing! love the shades 🙂 i always go for drug stores because i can’t seem to hit pan on any of the shadows i buy anyway! Yeah, eyeshadows are sometimes hit or miss. I love Milani shadows. Thank you Sarah! Have a lovely day! Thank you Ileana! Thanks for stopping by! Thank you! They’re really great basics. They’re awesome! Thanks for stopping by! Thanks Maireem! They’re so much fun!